Port Manatee is the closest U.S. deepwater seaport to the Panama Canal, serving bulk, breakbulk, container, heavylift, project and general cargo customers. The port generates more than $2.3 billion in annual economic impact for the local community, while supporting more than 24,000 jobs, without the benefit of ad-valorem taxes. Port Manatee handles up to approximately 10 million tons of cargo each year representing a diverse range of import and export commodities. 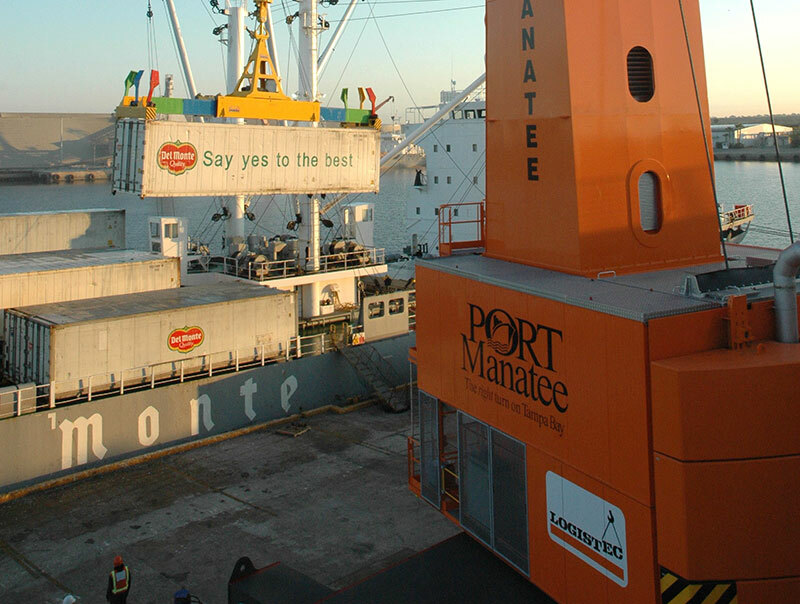 Port Manatee is conveniently located near the entrance to Tampa Bay in west-central Florida, along the Gulf of Mexico. It is regarded as the closest U.S. seaport on Tampa Bay to the Panama Canal, as well as burgeoning Mexican manufacturing centers. More than eight million Florida residents live within a two-hour-drive of Port Manatee, and the majority of Florida’s 115 million annual visitors may be found within a three-hour drive. Port Manatee offers exceptional highway connections, with a 60-mph access to Interstate 75 and Interstate 275, as well as Interstate 4. Trucks leaving Port Manatee reach i-75 and I-275 in less than four minutes via U.S. Highway 41. Port Manatee’s short line railroad directly connects to the CSX Corp. mainline, which is less than 1 mile from the port’s north gate. To accommodate customers’ demands, the shoreline is available to operate 24 hours a day. It features two new switcher engines and nearly 7 miles of track, 19 switches, nine crossing and a 300-plus rail car capacity.